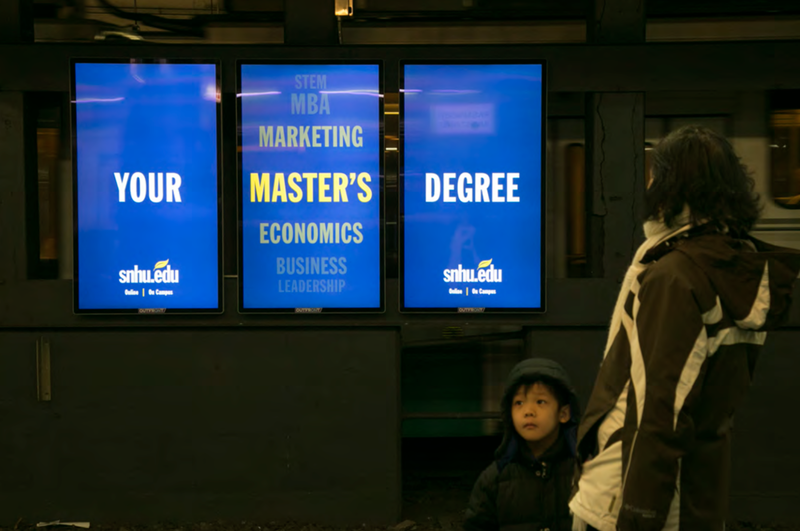 SNHU’s out-of-home campaign in winter 2018 showed Boston commuters that with their degree, they could advance their career. 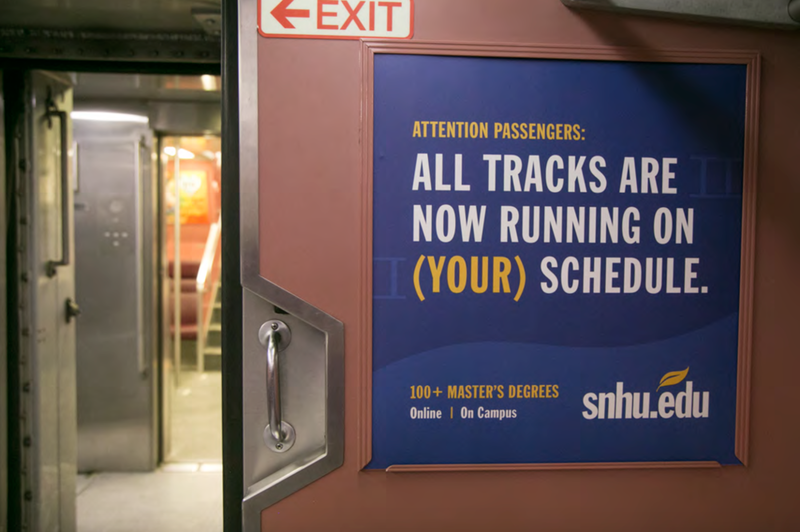 Using messaging that played on the fact that while on the T they were truly “going places” and design that illustrated the movement, SNHU highlighted its portfolio of online and campus graduate programs. With station takeovers, interior car posters and even signage on buses, the campaign resonated with the regional audience and met its goals.